OPS is a privately owned Perth based company. 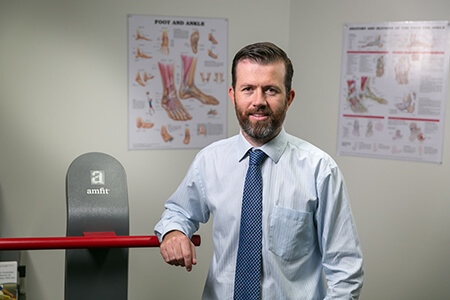 Andrew completed a Bachelor of Prosthetics and Orthotics at LaTrobe University in 1996. 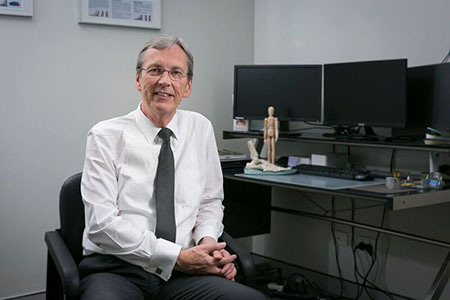 He has amassed years of valuable knowledge and experience in hospital settings in Melbourne (Caufield Hospital and St Vincents Hospital) and in private practice in Sydney (Advanced Prosthetic Center). Andrew’s desire to remian at the forefront of technological advances have led him interstate and overseas. He was the first prosthetist in WA to fit the I-Limb (Touch Bionics), the C-Leg (Ottobock), the Michael Angelo Hand (Ottobock) and the Proprio Foot (Ossur). He is the only clinician in Perth certified to fit the Utah Arm (Motion Control). His other certifications include the Advanced Flex Foot (Ossur) and the Genium Knee Joint (Ottobock). Andrew is the only Prosthetist in WA to be invited to join the Australian Paralympic team at both the Sydney and Rio Paraylmpic Games. He has also been invited on several occasions to present to his colleagues at the Australian Orthotic and Prosthetic Association’s annual conference. Andrew’s passion for his profession and willingness to share his knowledge is evident in his presentations to Perth’s Universities and Therapy Groups. Brendan is a senior clinician at OPS. He completed a Bachelor of Prosthetics and Orthotics at LaTrobe University Melbourne in 2000. He has many years experience in both private and public facilities. Whilst in Melbourne he worked at Orthopaedic Techniques and St Vincent’s Hospital. He then moved to Perth where he worked at FOS (Fremantle Orthotic Services). Brendan moved to OPS in 2011. He is a highly qualified and skilled clinician. He traveled to Scotland in 2008 to gain certification in the Touch Bionics I-Limb, His additional qualifications include C-Leg and Myo-electrics (Otto Bock), Proprio Foot (Ossur) and the Ohio Willow Wood Limb Logistic System. 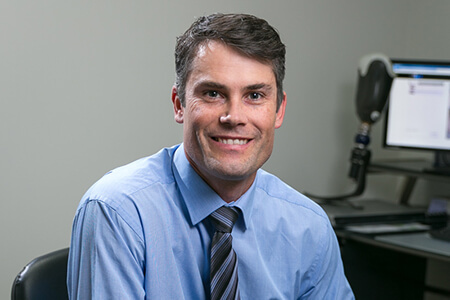 As an elected member of the AOPA board, Brendan has input into the governance and direction of the Australian Orthotic and Prosthetic Association. He has a special interest in paediatric prosthetics. Brodie is a Senior clinician at OPS. He graduated La Trobe University Melbourne in 2011 with a Bachelor of Prosthetics and Orthotics. Since graduating Brodie has worked both domestically and internationally, starting his career at FOS (Fremantle Orthotic Services). After leaving WA Brodie moved to Napal to volunteer and provide a prosthetic service for the victims involved in the 2015 earthquake. In 2016 Brodie joined a small private clinic in Far North Queensland as the leading Prosthetist to help establish a local service for the regions of Cairns and Townsville. His love of the west coast saw Brodie move back to Perth and join the team at OPS at the beginning of 2019. Prosthetics is Brodie’s passion, mainly specialising in lower limb amputees. With experience in both interim and definitive prosthetic management, Brodie has a keen interest in the innovative technology and techniques in the profession. His specialties include experience and certification for fitting Micro-Processor knees (Genium, C-Leg and Meridium from Otto Bock), elevated vacuum systems (Harmony, Unity and Limb Logic) and socket technologies such as Sub-Ischial Trans-Fermoral sockets and BOA Revofit systems. Brodie is a member of the Australian Orthotics and Prosthetics Association. Rachael graduated from Latrobe University with a Bachelor of Health Sciences and clinical Masters of Prosthetics and Orthotics in 2014. She began working with OPS in 2015, in both the Prosthetics and Orthotics field. She has a special interest in complex lower limb paediatric orthotics and paediatric prosthetics. Rachael also attends Regional North Orthotic clinics, as well as the Sir Charles Gardiner Amputee clinic. 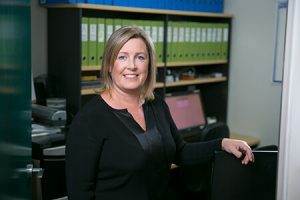 Rachael is a member of the Australia Orthotics and Prosthetics Association, where she is the Western Australian state education representative. Gail is a Senior Orthotist at OPS and has been with the company since 2004. 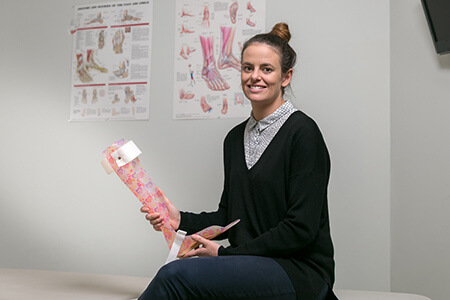 Graduating in 2002 from La Trobe University she started her career in rehabilitative prosthetics before moving across to OPS to concentrate on lower limb orthotic intervention. 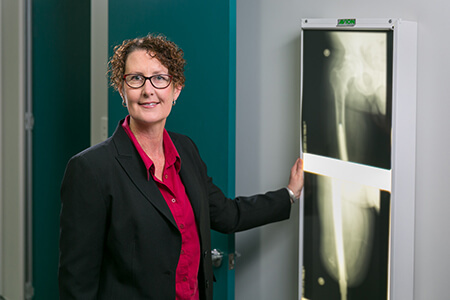 Gail attends rural and remote orthotic clinics in the North of the state and enjoys the challenges and requirements of clients that these present. 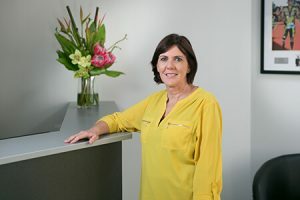 Having an interest in both paediatric and aged care, Gail adopts a holistic approach to her orthotic clients’ needs when formulating their orthotic treatment. As a long term member of AOPA, Gail regularly attends professional development events and aims to continually increase her knowledge base and adopt new techniques. Erika completed a Bachelor of Prosthetics and Orthotics at Jonkoping University (Sweden) in 2014. One semester was spent at La Trobe University in Melbourne as part of an exchange program. 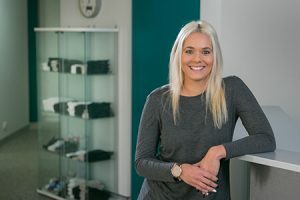 Being highly motivated to develop the professional skills to provide the best available treatment and achieve optimal outcomes, Erika moved to Norway to complete a two year internship. 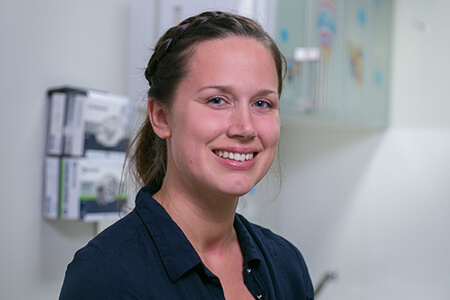 Erika moved to Australia in 2017 where she joined the team as an orthotist at OPS. She is very passionate about finding good outcomes for her clients and strives to remain up to date with the latest advancements in her field. Erika has a special interest in using gait analysis tools to optimise the function of prescribed orthotic interventions. Barry is a founding practice partner at OPS. Originally from the UK, Barry established OPS in 1981 has been actively and passionately involved in the orthotic treatment of clients ever since. 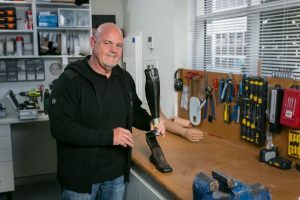 Barry’s motivation towards ongoing education led him to take leave from OPS to complete a Bachelor of Prosthetics and Orthotics at LaTrobe University Melbourne in 2007. His experience and expertise in the orthotic management of children with cerebral palsy saw him invited to present at the CP ISPO symposium in Melbourne in 2010. In 2013 he was asked to head the convening committee for the CP ISPO symposium held in Perth. In 2016, Barry took a well earned 12 month sabbatical to England. Upon his return he took on a key role to support and mentor the clinicians at OPS who are benefiting from his wealth of knowledge and experience.